On a trip to the charming city of Charleston, I became a fan of “haint” paint. “Haint” is southern slang for “haunt,” and legend holds that painting a porch ceiling in a lovely shade of blue will guard your home against evil spirits. Many swear it also wards off insects! While I unfortunately don’t have the charming wrap-around porch that graces many a Charleston home, I employed the concept of “haint paint” to help transform my dark family room to more of a beachy, cottage look. 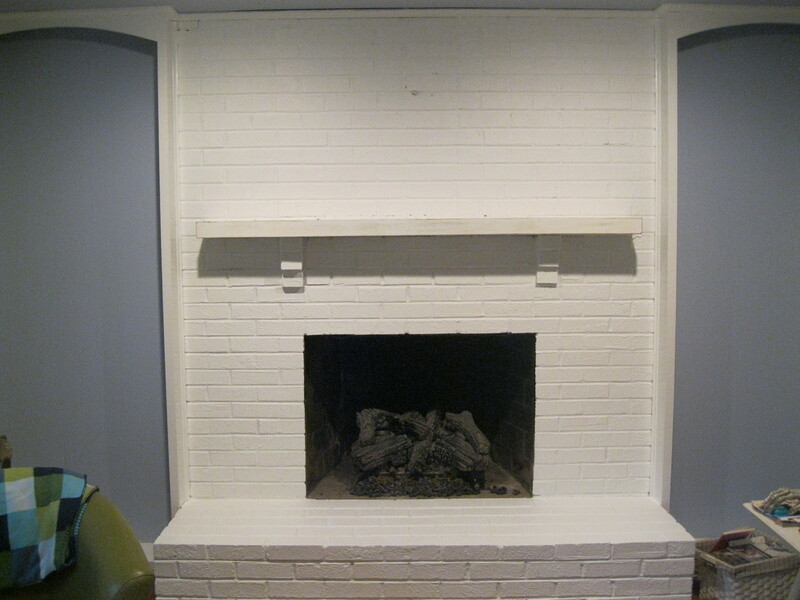 My blue paint color of choice was Benjamin Moore’s Airway, a cool blue with grey undertones. 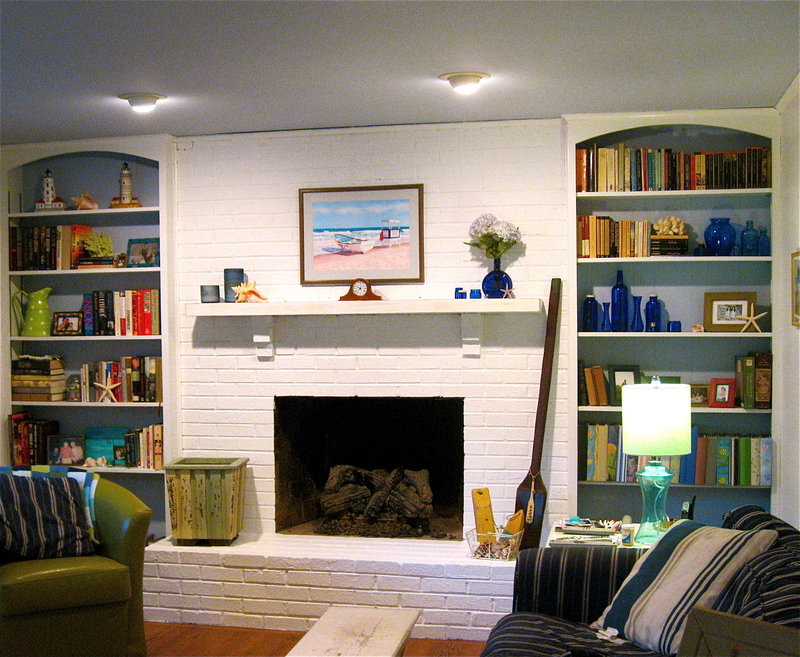 I painted the back walls of the bookcases and the ceiling in this blue, contrasting it with crisp white everywhere else. 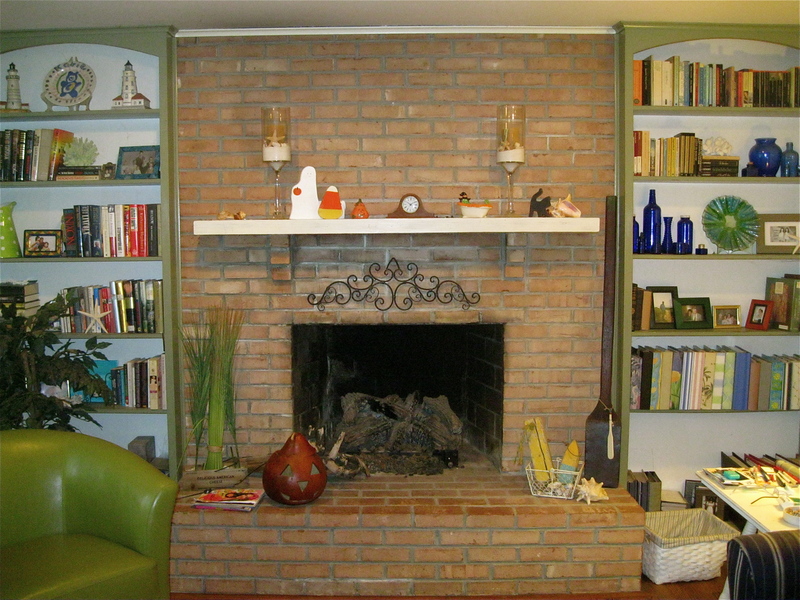 You can check my previous post, Family Room Rehab, for more info on painting the paneled walls and brick fireplace. The legend must be true–the room is now a calm oasis, with nary an evil spirit in sight.